I have worked with the district since 2005. My favorite part of working for this district is the “close-knit” feel. I grew up in the district and attended school here. There is no other place I’d rather work. At Three Rivers Local School District, I work as an educational aide. My favorite part of working for the district is working with the kids and being a part of their accomplishments. The bonus is working with wonderful co workers. In my personal time away from work, I enjoy spending my time with my family boating, going to sporting events, and just hanging out at home together. At Three Rivers Local School District, I work as an Algebra 1 teacher. My favorite part of working for this district is the pride that every staff member takes in being a part of the school and community. At Three Rivers Local School District, I work as a 5th grade Language Arts teacher. My favorite part of working for this district is the enthusiasm and commitment shown towards the children of this wonderful community. Christina Camardo joined the Three Rivers Staff in 2017. Ms. Camardo currently teaches middle school and high school band. Prior to joining the Three Rivers Staff, Ms. Camardo taught general music and band at St. Jude School from 2012-2017. Ms. Camardo enjoys performing around the Cincinnati area as a member of the Ohio Military Band where she plays the clarinet. At Three Rivers Local School District, I work as a physical education teacher. My favorite part of working for this district is the students and the relationships with the faculty and staff. In my personal time away from work, I enjoy spending my time with family and friends. At Three Rivers Local School District, I work as a 7th grade English teacher. My favorite part of working for this district is getting to work with such a great group of students and to be a part of a wonderful and close knit staff. In my personal time away from work, I enjoy spending my time reading, doing crafty things, and spending time with my husband and toddler son. At Three Rivers Local School District, I work as a 6th grade Science and Social Studies teacher. I have worked with the district for 17 years. My favorite part of working for this district is the way we care and look out for one another here at school and in the community. In my personal time away from work, I enjoy spending my time traveling and working on craft projects. I have worked with the district since 1979 with a few years away when my husband’s job changed. My favorite part of working for this district is all the wonderful people I have met throughout the years. I also have many happy childhood memories of my school years in the Three Rivers District. . In my personal time away from work, I enjoy spending my time traveling to the beach and watching old holiday movies. At Three Rivers Local School District, I work as a 5th Grade Math Teacher. My favorite part of working for this district are the children I get to touch and put smiles on their faces everyday. In my personal time away from work, I enjoy spending my time with my family and watching movies. In my personal time away from work, I enjoy spending my time with my children. At Three Rivers Local School District, I work as a Gateway to Technology and Launch Lead Teacher. My favorite part of working for this district is the strong sense of community and pride in the school district. In my personal time away from work, I enjoy spending my time with my family, farming, practicing yoga, and running. At Three Rivers Local School District, I work as a Sign Language Interpreter. My favorite part of working for this district is the feeling of everyone being family. Everyone helps each other and the amount of support that is received from the community is amazing. In my personal time away from work, I enjoy spending my time playing volleyball, doing crafts and spending time with my fiance, family, and friends. I attended Seton High School, then graduated from The University of Cincinnati with a Bachelor's degree in Pre-Personnel & Industrial Relations. I am married with two children. My son is a sophomore in college and my daughter a high school sophomore. I am an aide and have worked with many grade levels. This year I am assigned to work with Jenny Vincent with 5th - 8th grade students. This profession found me, I was in the right place at the right time! It has been a truly rewarding experience. This year begins my 11th year with Three Rivers. I love to travel with my family! I have been to 48 states and approximately 20 countries. At Three Rivers Local School District, I work as a 6th grade social studies teacher. I have worked with the district since 2018 - very excited to be a part of the TRLSD community! My favorite part of working for this district is the close community feel. In my personal time away from work, I enjoy spending my time with my family, walking my dogs, enjoying concerts, or reading. At Three Rivers Local School District, I work as a 5th grade Science and Social Studies Teacher. My favorite part of working for this district is the small-time feel of the community. I like getting to know the families by having siblings of previous students. In my personal time away from work, I enjoy spending my time reading and playing piano. I also love spending time with my three dogs; Jessie, Nash and Chewie. At Three Rivers Local School District, I work as a Middle School Counselor. I have worked with the district for quite a while. My favorite part of working for this district is I love the outstanding students and staff I work with every day. In my personal time away from work, I enjoy spending my time kayaking, doing yard work, running, and watching movies. At Three Rivers Local School District, I work as an educational aide for 8th grade. My favorite part of working for this district is getting to know the students and watching them grow to reach and exceed their goals. In my personal time away from work, I enjoy spending my time with my family. We love soccer, traveling, watching movies and spending time outdoors. I also like to read and garden. At Three Rivers Local School District, I work as a 6th grade ELA (Language Arts) teacher. My favorite part of working for this district is the genuine interest that everyone has in helping young people not only recognize their potential but strive to achieve it as well. In my personal time away from work, I enjoy spending my time with family, traveling, shopping, and following the Cincinnati Reds and Michigan football. I am an Intervention Specialist for the 5th grade this year after teaching high school grades 9-12 for 10 years. I graduated from Taylor High School and The College of Mt. St. Joseph. I have a Masters Degree in Special Education K-12. I chose this profession because I enjoy watching students succeed and grow both personally and academically. In my spare time, I enjoy boating and working at the Reds stadium in the summer time. I also am a big Reds and Bengals fan. 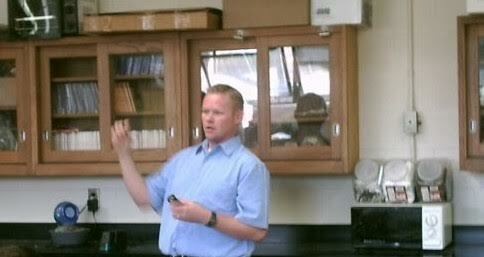 At Three Rivers Local School District, I work as the 8th grade science teacher. My favorite part of working for this district is being with my students and forming relationships with them! In my personal time away from work, I enjoy spending my time attending University of Cincinnati athletics and traveling with my family! At Three Rivers Local School District, I work as a Social Studies teacher in the 8th grade. My favorite part of working for this district is working with our great students each day and being able to watch them achieve greatly as they grow older. In my personal time away from work, I enjoy spending my time with my family, going camping, and doing woodworking. At Three Rivers Local School District, I work as a sixth grade Intervention Specialist. I have worked with the district since 2012. My favorite part of working for this district is how much the community supports each other. In my personal time away from work, I enjoy spending my time with my husband and two little ones. Hello I am Mr. Knarr and I teach Science and Social Studies and have a ton of fun activities in store for my students. I grew up in Colerain and went to Colerain High School and received my degree in education from Miami University. Before I became a teacher I owned my own business for over 15 years and was never truly happy unless I was helping someone else. After a major illness, I decided to follow in my father’ footsteps and become an educator. It was the best decision I ever made. My wife and I have three children. My family’s favorite places to vacation is Myrtle Beach South Carolina and the Smokey Mountains. When I am not teaching I am most likely outside hiking, fishing, hunting or just enjoying nature. At Three Rivers Local School District, I work as a Speech Pathologist. My favorite part of working for this district is building relationships with students and staff and helping students succeed. In my personal time away from work, I enjoy spending my time running, reading and traveling with my family. At Three Rivers Local School District, I work as a 5th grade Language Arts teacher. I started working for the District in 2018. Previously, I have taught Language Arts and Social Studies in Columbus Ohio. My favorite part of working for this district is being a part of a small, family-oriented community. In my personal time away from work, I enjoy spending my time writing and being outside. At Three Rivers Local School District, I work as a school psychologist at Taylor Middle School for grades 5, 6, and 7. My favorite part of working for this district is witnessing the compassion, concern, and care the staff has for each individual student on a daily basis. In my personal time away from work, I enjoy spending my time with my husband and four children. I also love to read and play volleyball. At Three Rivers Local School District, I work as a fifth grade math teacher. My favorite part of working for this district is getting the opportunity to positively influence the lives and academics of all of my students. In my personal time away from work, I enjoy spending my time with my wife and my dog, Tucker. At Three Rivers Local School District, I work as a Intervention Specialist. My favorite part of working for this district is the students. At Three Rivers Local School District, I work as the secretary of Taylor Middle School. My favorite part of working for this district is the close-knit family feeling with co-workers. In my personal time away from work, I enjoy spending my time going to sporting events and boating. At Three Rivers Local School District, I work as a English Teacher for the middle and high school. My favorite part of working for this district is seeing students grow academically. In my personal time away from work, I enjoy making memories with friends and family. My favorite part of working for this district is the tight cohesive community that is a part of our schools. In my personal time away from work, I enjoy spending my time with family and attending sporting events. My favorite part of working for this district is the community and to see the students achieve their goals. In my personal time away from work, I enjoy spending my time traveling, playing piano, and coaching sports. I have worked with the district since 2018. My favorite part of working for this district is everyone is so welcoming! In my personal time away from work, I enjoy spending my time with my husband and our dog, Buddy! We are preparing to welcome our first child in a few weeks (September 2018)! At Three Rivers Local School District, I work as an eighth grade intervention specialist, director of Three Rivers Children’s Theatre, Director of Taylor High School Drama, and Assistant Director of Taylor Middle School Drama. My favorite part of working for this district is the strong sense of community shared throughout the district’s students, parents, teachers, and community members, as well as the easy camaraderie found in being part of the Three Rivers family. In my personal time away from work, I enjoy spending my time with my family, playing piano, and woodworking. At Three Rivers Local School District, I work as a seventh grade math teacher. My favorite part of working for this district is collaborating each day with the great staff of teachers. In my personal time away from work, I enjoy spending my time going to antique shows and stores with my wife and watching my children play sports. At Three Rivers Local School District, I work as a 7th grade math teacher. I have worked with the district since 1993 as a coach. I have worked at the district as a teacher since 1994. My favorite part of working for this district is the students and my fellow teachers. I truly consider this to be my family away from home. In my personal time away from work, I enjoy spending my time reading with my dogs next to my side and watching lots of soccer (either my daughters' games or on television). At Three Rivers Local School District, I work as a 6th grade math teacher. My favorite part of working for this district is teaching students to try their best. At Three Rivers Local School District, I work as a choir director for the middle school girls, as well as teach general music to the elementary students. I also work after school with the marching band’s color guard and in the drama department. I have worked with the district since 2013. I graduated from Bowling Green State University in 2012, and worked on year in another school district. My favorite part of working for this district is working with colleagues that support and value what is done in my class. In my personal time away from work, I enjoy spending my time with my husband and two dogs, Aurora and Wilbur. I also enjoy doing crafts, such as painting and crocheting. I have been teaching since 1977 and have been in Three Rivers for 25 years. It is the best district ever! I love working with special needs students, as they have such a wide variety of personalities and interests and such positive outlooks about their futures. They really add a lot to the Taylor family. My hobbies include gardening and watching the Reds and Bengals. At Three Rivers Local School District, I work as a Middle School & High School Spanish Teacher. I have worked with the district since 2004 and am a graduate of Taylor H.S. My favorite part of working for this district is the sense of community that is felt by the students, staff, and parents; working together and supporting one another. In my personal time away from work, I enjoy being with my husband and 2 daughters, traveling, cooking, and running. At Three Rivers Local School District, I work as a sixth grade language arts teacher. My favorite part of working for this district is working with great kids and the wonderful staff. At TRLSD I work as the Principal of Taylor Middle School. I have also worked within the district as the Director of Special Education, Elementary Assistant Principal and Intervention Specialist. I also worked for Community Education Program as a swim instructor and started the After School program. My favorite part of working at TRLSD is that I get to work in the District in which my children attend and we reside. It is a wonderful feeling knowing that you are giving back to a community that has provided you and your family so many wonderful memories. In my personal time I enjoy spending time with my family. At Three Rivers Local School District, I work as a head custodian. My favorite part of working for this district is working with staff and the students. In my personal time away from work, I enjoy spending time with my family and fishing. At Three Rivers Local School District, I work as a 7th Grade Language Arts teacher. My favorite part of working for this district is the welcoming community members and other teachers; it has made my transition into the school very easy. In my personal time away from work, I enjoy spending my time at home with my cats and playing soccer. At Three Rivers Local School District, I work as a 7th grade English/Language Arts teacher. I am also an adviser for National Junior Honor Society. My favorite part of working for this district is being able to connect with so many great students and families. In my personal time away from work, I enjoy spending my time with family and friends. I also love being outside and reading, of course! I have worked with the district since August of 2015. My favorite part of working for this district is being part of such a close-knit and supportive community. In my personal time away from work, I enjoy spending my time reading and coaching volleyball; I am an assistant volleyball coach at Thomas More College. At Three Rivers Local School District, I work as a 7th grade science teacher. I have worked with the district since August 2015, starting as a student teacher. My favorite part of working for this district is the friendly atmosphere and enthusiasm from the students and staff. In my personal time away from work, I enjoy spending my time working out and hanging out with my friends and family. At Three Rivers Local School District, I work as a Middle School Special Education Teacher. I have worked with the district since this fall, 2016. My favorite part of working for this district is all of the support and friendliness I have received from everyone who works here. Everyone is eager to help and seems genuinely happy to be here! In my personal time away from work, I enjoy spending my time with my 5 kids and my cats. At Three Rivers Local School District, I work as a School Psychologist for Grades 8-12. I have worked with the district since 2004 and being a School Psychologist is a second career position started when I graduated from the University of Dayton in 2002. I received my undergraduate degree from South Dakota State University. My favorite part of working for this district is collaborating with the staff and parents to give our students the very best education according to their capabilities. I love coming to work each day to see what experiences the new day will bring. In my personal time away from work, I enjoy spending my time with my family. I have 4 children (3 living in Dayton area and the 4th in North Carolina) and 4 grandchildren (all living in the Dayton area). My sister and daughter are my very best friends and my parents are still living. My husband and I also love watching new and old time sit-coms as well as all type of movies (current and past). In the Three Rivers Local School District, I work as a 7th grade history teacher and football coach. ​​​​​​My favorite part of working for this district is the students. They are truly wonderful individuals. I love teaching g them and helping to produce future world change makers. They are what makes this job truly a blessing. I love the staff I work with. They are compassionate, committed educators who make coming to work a joy.